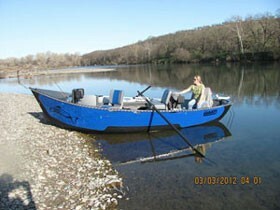 I do drift boat trips mostly on the lower Sacramento River. One and two day trips available. Weather and time of year determine fishing styles and quanity. Due to full moon and rain fishing was tough. John did everything he could to put us on fish, everyone was having a hard time catching fish. John did a great job. Quality equipment, knowledge of the river. Will book another trip with him! TOP NOTCH GUIDE!!! I have known John Bowman since junior high school. He has ALWAYS had the gift of out hunting and fishing EVERYONE! He kind of makes me sick to be honest! When we were kids he would give me a lure and then instruct me on how to use it, we would go in opposite directions around a pond and he would easily catch 10 to my 1! He is one of a kind! I catch alot of fish and out fish most people, John is on another level! I have used many guide's over the years to learn little tricks to use on my own boat. John is the best! 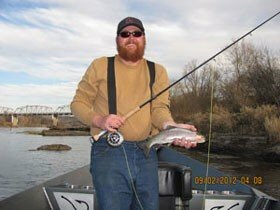 He is a master on the lower Sacramento River! 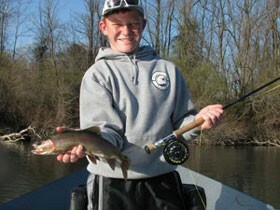 (and everywhere else that I have fished with him) I do good and have been fishing ALL of my life. When I pull my Alumaweld out of the garage people want to jump in it because we are gonna catch fish.......but when I need to learn more or figure out what I'm doing wrong..... Bowman Guide Service! Simply put "He's the man!" Thanks John! My first fly fishing trip. 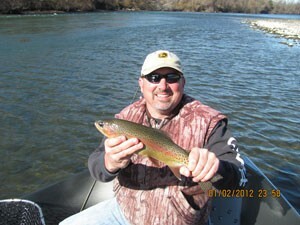 great experience, great equipment, the best boat on the river very professional guide.I would reccomend John Bowman guide service to anyone wanting to fish northern California.